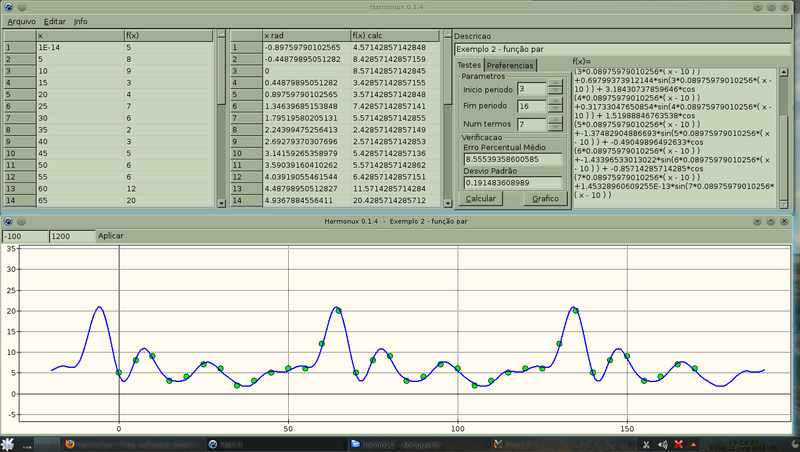 Harmonux 0.1.4 Harmonic Analysis. Enter a table and get the harmonic function for the table. With the graphic of the points of the table and the function. Open Source GNU/GPL, pre-compiled for Linux and Windows. Manuscript4u is an open source project to read and search on the original languages of the Bible and on the translations. It has unique and easy way to do research on words in Greek and Hebrew. Learn the meaning of the word without dictionaries by the way that word was translated. In parallel, the original Hebrew/Aramaic (Old Testament) or Greek (New Testament) with your preferred translation. It comes with Bibles in Hebrew/Greek and English, Portuguese, Spanish but you can download scores of other translations. The Bible files can be downloaded from the UnboundBible site in many languages and converted to the format used by the program with an included conversion program. Pre compiled for Linux and Windows. Multi-language support. Currently English and Portuguese. Strong's dictionary for the Greek with one click. Links to sites like "The Blue Letter Bible" with further details about the word with one click. 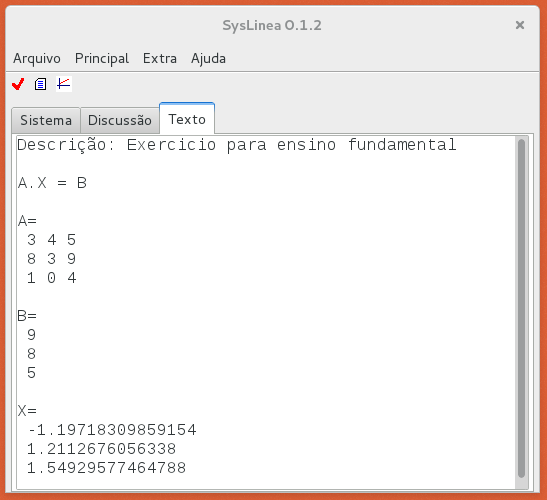 SysLinea 0.1.2 Solves Linear Systems and calculates Linear and Non linear Regression. 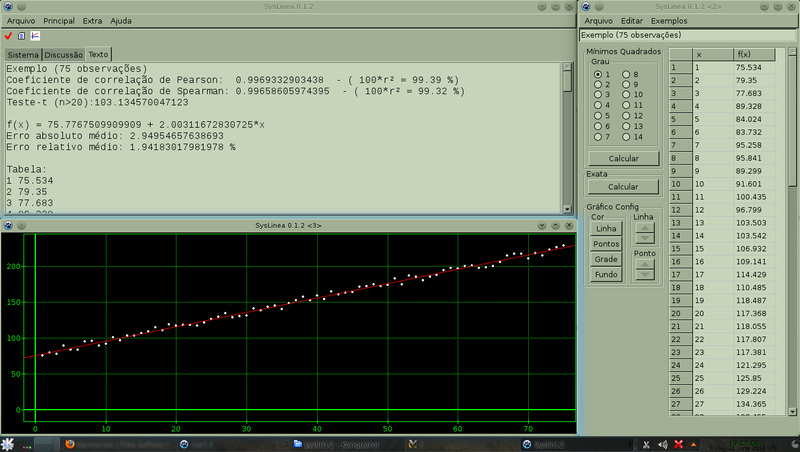 It gives the Pearson and Spearman coefficients of correlation and the t-test. Open Source GNU/GPL, pre-compiled for Linux and Windows. This page was last modified on 11 July 2016, at 22:56.